There was much to celebrate at this year’s 60th Anniversary Blaston Show. 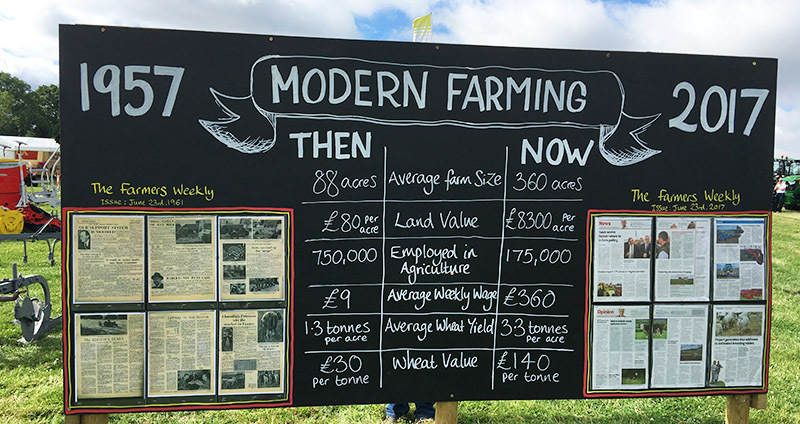 In excess of 3,500 people enjoyed the diverse range of countryside activities, from cattle and sheep showing, sheep shearing and equestrian classes to displays of mechanical splendour from across the years. Staying on the mechanical theme, a stunning array of classic vehicles, many of which had taken part in the 30 mile Vintage Car Run, also paraded around the arena, showing off what was undoubtedly hours of polishing, and to celebrate this landmark anniversary a trailer float was paraded by Norton & Gaulby Young Farmers Club with inventions and costumes from each of the decades that Blaston Show has been held. Aside from a large range of showing classes, plus show jumping, gymkhana games and a Fancy Dress contest, Blaston Show is also supported by Riding For The Disabled, who run a Handy Pony competition for their riders which is then opened up to all. Putting Gypsy Rose through her paces was RDA member Tim Birley who will be heading to Sheffield in August for the Special Olympics Great Britain. Tim, who started riding five years ago, is a Class B rider which means that he can walk and trot unaided. A man of significant determination, he raised £3,500 by cycling from Long Clawson to Skegness in order to raise part of the £7,000 required for East Midlands RDA members to compete in Sheffield. In a different part of the showground, the usual mind boggling variety of cattle and sheep were scrutinised by the judges, and a sheep shearing contest drew the crowds under the eagle eye of judge Henry Mumford. Octegenarian Maurice Brown of M & CJ Brown was again displaying his charming pygmy goats, 14-year-old Yvonjean Elsa and her two-year-old grand-daughter Evonjean April Charm, who is now a mother herself. The terrier racing and tug of war competitions were serious crowd pleasers, with young and old joining in, and there were also some very tempting new retail outlets at the show, including The Oxton Liqueur Company, artist Emma McQuiggan, and Leicestershire clothing producer Urchin, whose founders could have cycled to the event had they not needed plenty of stock to sell. Emily Eadie from Oxton Liqueurs said: “We’ve come straight from Olympia and it is great to be back in familiar surroundings; in a field, in the fresh air, meeting country people who really understand our liqueurs.” Show veteran of the last few years, Emma Davies from The Dotty Dog Company also had a great show and was full of praise for the diverse range of new traders this year. To add to the feelgood factor, Blaston Show donates significant sums to charity each year. This year’s main beneficiary is Hope Against Cancer, which funds cutting edge research into cures for cancer and makes clinical trials available to the people of Leicestershire and Rutland. Money will also be donated to the Leicestershire & Rutland Blood Bikes charity. “The entire organising team were thrilled with how the 60th anniversary Blaston Show delivered,” said Show Chairman, Oliver Lee. “The early signs are that we again beat our previous record in terms of attendance, with about 3,500 people coming to the site to spectate, compete or exhibit. All sections across the Show received huge support with increased entries across the board. The weather was kind for both spectators and livestock with enough cloud and breeze to keep temperatures comfortable, and cars streamed in – both for the Blaston Show and the associated Hound Show, which also enjoyed a good turnout. Thoughts now turn to the 61st Show which will take place on Sunday 24th June 2018.